With melting glaciers dramatically threatening its water supply, it is no surprise that Bolivia is emerging as a leader of the global South in the fight against climate change. And its climate negotiators have become eloquent advocates for a new, big idea that is reinvigorating the climate justice movement: "climate debt." In this first, in-depth television segment on the idea of climate debt, Avi Lewis asks what the historical polluters of the global North owe the poor countries of the South -- and how such an honest reckoning could encourage the global, technological collaboration demanded by our climate crisis. 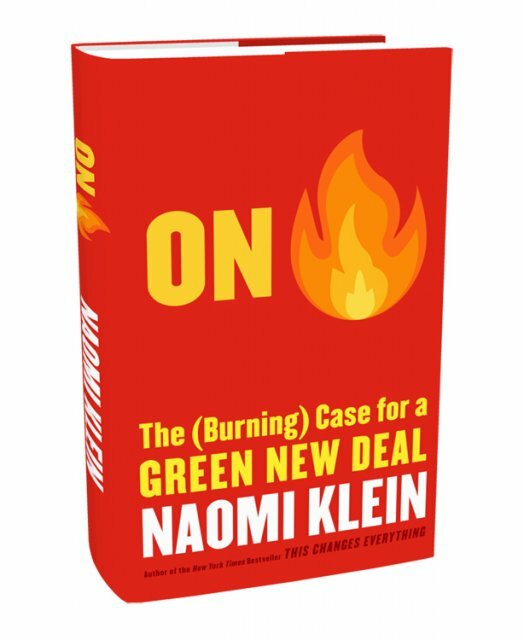 Naomi Klein acted as a consultant for the piece, which also includes great coverage of the Cochabamba climate conference and a stunning view of Bolivia's epic and imperiled landscape. Watch the new edition of Fault Lines here. It was 11 am and Evo Morales had turned a football stadium into a giant classroom, marshaling an array of props: paper plates, plastic cups, disposable raincoats, handcrafted gourds, wooden plates and multicolored ponchos. All came into play to make his main point: to fight climate change, "we need to recover the values of the indigenous people." Yet wealthy countries have little interest in learning these lessons and are instead pushing through a plan that at its best would raise average global temperatures 2 degrees Celsius. "That would mean the melting of the Andean and Himalayan glaciers," Morales told the thousands gathered in the stadium, part of the World People's Conference on Climate Change and the Rights of Mother Earth. What he didn't have to say is that the Bolivian people, no matter how sustainably they choose to live, have no power to save their glaciers. On March 18, continuing a long tradition of pioneering human rights campaigns, the Senate of the Associated Students of the University of California, Berkeley (ASUC) passed "A Bill In Support of UC DIVESTMENT FROM WAR CRIMES." The historic bill resolves to divest ASUC's assets from two American companies, General Electric and United Technologies, that are "materially and militarily supporting the Israeli government's occupation of the Palestinian territories"—and to advocate that the UC, with about $135 million invested in companies that profit from Israel’s illegal actions in the Occupied Territories, follow suit. Ever since deregulation caused a worldwide economic meltdown in September ’08 and everyone became a Keynesian again, it hasn’t been easy to be a fanatical fan of the late economist Milton Friedman. So widely discredited is his brand of free-market fundamentalism that his followers have become increasingly desperate to claim ideological victories, however far fetched.